This model is 183 cm and wears a size M/M. Their chest measures 96 cm and the waist 71 cm. 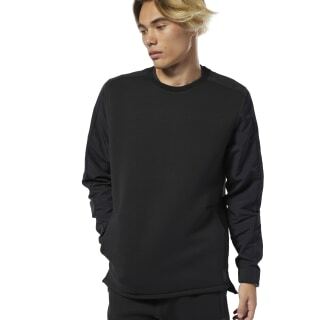 This men's sweatshirt is built with layering in mind. 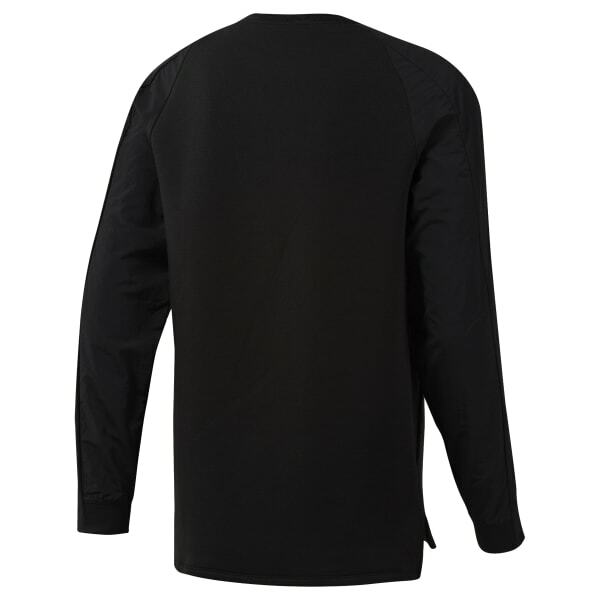 It's cut in a slim fit and has a woven overlay on the sleeves. Front pockets provide a place for essentials, and a droptail adds to the sporty style.